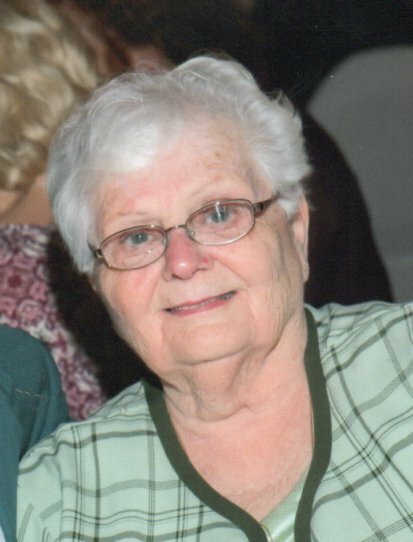 Janet Edith Clow, 79, of Marienville, passed away on Wednesday, February 6, 2019 at the Clarion Hospital. Janet was born April 22, 1939 in Dextor, NY, the daughter of the late Myron and Lena (Bovee) Oliver. On September 2, 1961, she married Arthur P. Clow Jr. in Carthage, NY, he survives in Marienville. Janet loved to travel, spending time with her children and grandchildren, but most of all she was a loving wife to her husband of 57 years. She was a member of the Marienville Presbyterian Church. In addition to her husband, she is survived by two daughters, Deborah (friend Mark) Geyer of Pittsburgh, and Kimberly (Michael) Dehner of Marienville; two sons, David Clow of Tionesta, and William O. (Carisa) Clow of Marienville; a sister, Joan (Bernard) Staie of Arizona, and a brother, Roger Oliver also of Arizona. Also surviving are five grandchildren, Nicole (Caleb) Pardus of Manor, PA, William O. (Michael) Clow Jr. of Kentucky, Karen (fiance Shane) Clow of Selinsgrove, PA, Jared (friend Emily) Dehner of Marienville, Megan Clow of Marienville, and several nieces and nephews. In addition to her parents, Janet was preceded in death by her brother Charles Oliver. Family and friends will be received on Saturday, April 13, 2019 from 12 PM to 1 PM at the Marienville Presbyterian Church prior to a 1 PM memorial service with Rev. Boyd officiating. A private interment will follow the service at the North Forest Cemetery, Marienville, PA. (A luncheon is to follow). In lieu of flowers the family suggests memorial donations be made to the Marienville Presbyterian Church. Arrangements have been entrusted to the Furlong Funeral Home, 140 Cherry Street, Marienville, PA.
Friends and family may leave online condolences, light a memorial candle, order flowers, and obtain additional information at (www.furlongfuneralhome.com).